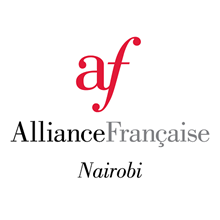 Alliance Française offers language camps for kids and teenagers: the perfect way to spend the school holidays! Students will discover, revise and perfect French during the school holidays with fun-filled activities. They will learn and improve their French, have fun preparing for the end-of-camp performances developing self-confidence and communication skills. From 3 to 17 years old, from A1 to B1 (beginner to intermediate). You've successfully shared French workshop for kids and teenagers. An error occurred while sharing French workshop for kids and teenagers. Please try again.